Keeping tabs on your health and fitness 24/7 by strapping on one of the latest fitness trackers may be a new phenomenon, but the innovations that brought the personal trainer to your wrist reach back decades. Landing the first man on the moon, the arms race, modern warfare and even the motor industry all gave rise to technologies, ideas and hardware that would end up being distilled into the gizmo that helps you hit your 10,000 steps a day. Essential reading: How does a fitness tracker actually work? So whether you're a Fitbit fanatic or addicted to closing your Apple Watch activity rings, read on to discover how the tech got started. Invented before World War II, the 'lie detector' was the first machine to include sensors to measure galvanic skin response (GSR), pulse rate and blood pressure to sniff out the telltale physiological indicators of fibbing to the police. 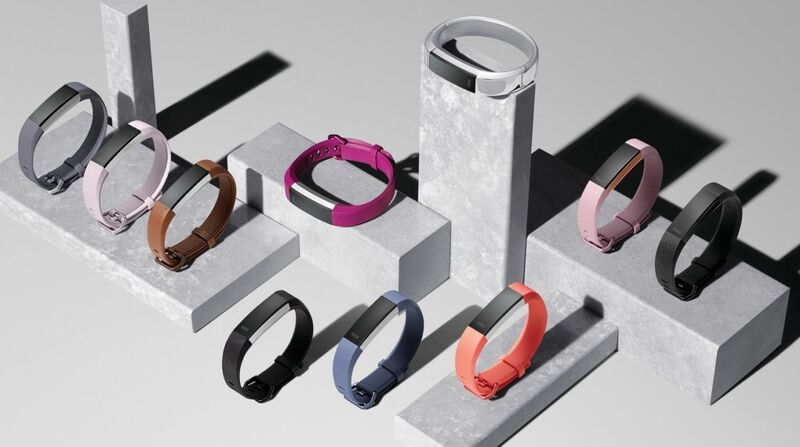 The technology is now commonplace on fitness trackers, including the Basis Peak and Jawbone UP3, where the sensors are used to reveal whether you're guilty of not working out hard enough. The Finnish founder of Polar sports equipment was a keen Nordic skier and set out to accurately measure his heart rate during training. In doing so, he invented the proto fitness watch, blazing a trail for the quantified self-trackers that followed decades later. And thanks to Seppo's dreaded chest strap heart rate monitor, which came with the PE2000, he can also inadvertently be credited with the drive to include the optical heart-rate sensors that feature in modern day offerings. Ever wonder where the 10,000 daily step benchmark that's calibrated into most trackers comes from? Dr Yoshiro Hatano, a Japanese professor at the Kyushu University of Health and Welfare, researched how to combat obesity in his country and concluded that a 10k step regime was the target to achieve optimum weight control and fitness. He introduced the Manpo-kei pedometer, which breaks down to the Japanese for 10,000 (man), steps (po) and measure (kei). Even though the Space Race and guided missile manufacturing pushed the technology of accelerometers to lethal new heights, it was Ford who first applied it commercially. It found that the minute instruments could detect sharp deceleration and deploy the airbags to minimise injuries in a crash, and it was this motion-detecting tech that would eventually feature in every modern tracker. The fantasy game that introduced the concept of 'leveling up' to an army of dwarf, orc and halfling wannabes. The same addiction-inducing gamification would feature in almost all future fitness trackers, except rather than playing for Experience Points, users would be sweating over everything from Nike Fuel Points to Fitbit badges. By combining a basic EKG and a radio chest strap, the Polar Sports Tester PE2000 was the first watch for serious athletes and a forefather to pretty much every biometric sports watch since. It went on to release the Sports Tester PE3000 in 1984, which was the first to put biometric information live onto the display and in 1987 the PE300 introduced Target Zones for heart rate based training. Tech training partners may have slimmed down a bit since it went on sale in the early eighties, but this was the forerunner of all future trackers. Nintendo's bike/screen hybrid was revolutionary in more ways than one and heralded the birth of 'exertainment', another forefather to the current gamification of exercise. The static bike had a console bolt on to distract the user from the horrors of breaking a sweat by playing Mountain Bike Rally and Speed Racer. GPS – the positioning technology that allows you to map your exercise routine to the meter – is only possible because of the 29-satellite constellation launched by the US Government. However, its use had been confined to the military and it took the President to declare it dual purpose and open it up for civilian usage. The self-tracking health app and website MyFitnessPal heralded the rise of the virtual fitness community. Suddenly, training partners no longer had to physically lace up their trainers together in order to offer mutual motivation and a competitive element to their workouts – a concept that trackers would take to the next level. The first consumer product to include a built-in 3D accelerometer so that movement is recorded on three different axes: up and down, side-to-side, and front to back. This gave the wearer a more accurate readout of calories burned and distance covered when exercising. The latest trackers all have 3D accelerometers as standard.